Ages 7 to Adult, ONLY 5 campers per session!!! 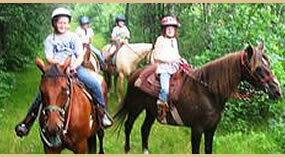 Send your horse crazy youngster to the ranch for an unforgettable summer experience. He/She will be treated like they are part of our family. 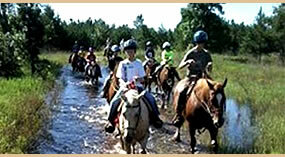 A typical full-day camp day includes morning lessons, trail ride, swim break, lunch (bring your own sack lunch), afternoon trail ride, and free hour for more riding or other camp fun. 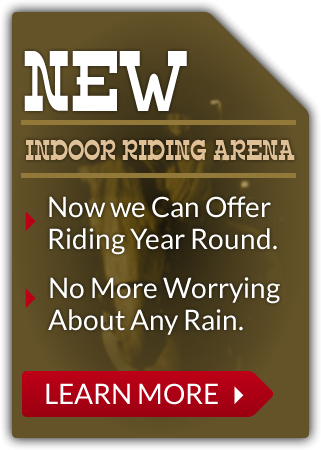 Your child will come home with a sore bottom with all the riding he/she will do! 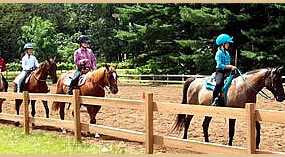 Our staff includes a certified teacher, a certified horse trainer and great counselors! Sign up with a friend for the same camp days and each receive $5 per day discount!! Sign up with a friend for the same camp days and receive $5 per day discount!! All payments are nonrefundable unless approved by management. Jacket and/or sweatshirt, Jeans and riding boots(hiking boots work too), Swimsuit and towel, Sack lunch, and A GREAT BIG SMILE! We STRONGLY discourage brining cell phones, expensive cameras, and electronic devices etc. Bighorn Ranch, offers scenic trail rides to the public. We have several great trail horses for even the beginner rider. Bighorn Ranch offers 1/2 day and full Day Camp opportunities for horse crazy kids & adults who want to learn more about horsemanship. Our trails utilize the county’s snowmobile trail that goes through the pine forests of northern Adams County. PLEASE FILL OUT THE FORM BELOW & WE WILL GET BACK TO YOU AS SOON AS POSSIBLE WITH A REPLY. THANK YOU. We serve folks from Wisconsin Rapids • Rome • Plainfield • Westfield • Marshfield • Arkdale • Adams • Friendship • Nekoosa • Necedah • Wisconsin Dells, as we are in the heart of Wisconisn!